What is Bariatric Surgery ? What is Weight Loss Surgery for Obesity ? Bariatric surgery (or weight loss surgery) includes a variety of procedures performed on people who have obesity. Bariatric surgery helps you to lose weight by making changes to your digestive system.Most of the surgeries are now done laparoscopically through tiny incisions. Bariatric surgery is probably the most effective intervention for weight loss we have in health care. Some types of bariatric surgeries like Sleeve Gastrectomy make your stomach smaller, allowing you to eat and drink less at one time and making you feel full sooner. Other bariatric surgeries like Roux en Y gastric Bypass, Mini Gastric Bypass ( MGB )also change your small intestine —the part of your body that absorbs calories and nutrients from foods and beverages. Bariatric surgery may be an option if you have severe obesity and have not been able to lose weight or keep from gaining back any weight you lost using other methods such as lifestyle treatment or medications. Bariatric surgery also may be an option if you have serious health problems, such as Type 2 diabetes , Sleep Apnea, Osteoarthritis , Cardiovascular(Heart) problems & many others like PCOD, Infertility, related to obesity. Bariatric surgery, regardless of the method used, is also much safer nowadays than it was even a decade ago. The harsh reality is that the fatter you are, the slimmer your chances of having a normal life and good health. 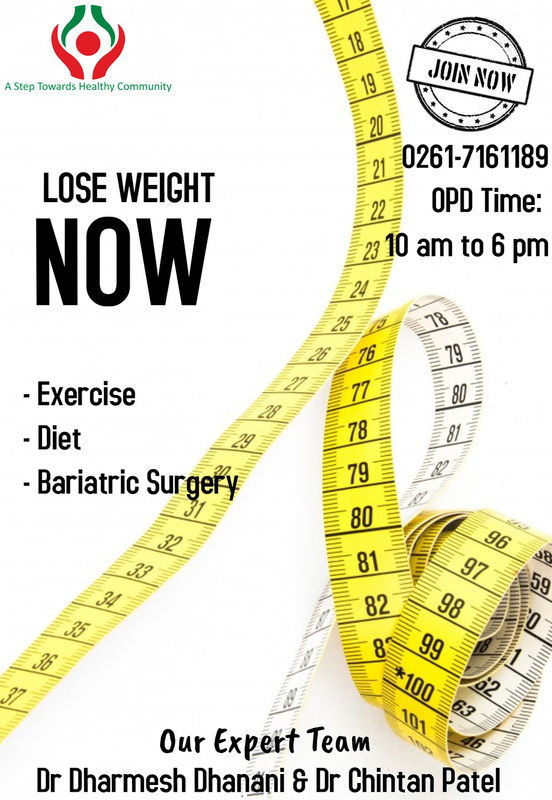 So why not find out about bariatric surgery today at one of the top & Best Bariatric Surgeon team of Dr Dharmesh Dhanani & Dr Chintan B Patel at Center for Bariatric Surgery & Weight Loss , Kiran Hospital, Surat , Gujarat , India? One of the leading centers for Bariatric Surgery in India for Long term Weight Loss Solutions for Severe & Morbid Obesity. Dr. Dharmesh Dhanani & Dr. Chintan B Patel. State of the art & Highest Quality Infrastructure & Technology. Highest safety standards & International Protocols. Comprehensive Weight Loss Solutions & Follow ups for Best Outcomes. 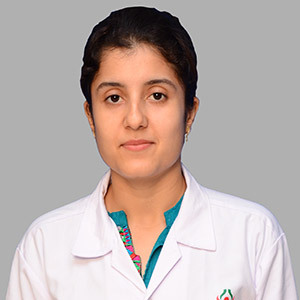 One of the best bariatric surgery hospital care available in India. Bariatric Times, a peer-reviewed internationally acclaimed journal from Pennsylvania, USA on bariatric trends and developments, the latest clinical and research findings, and current developments in all aspects of products and services utilized in the treatment of obesity and metabolic disorders for best outcomes. 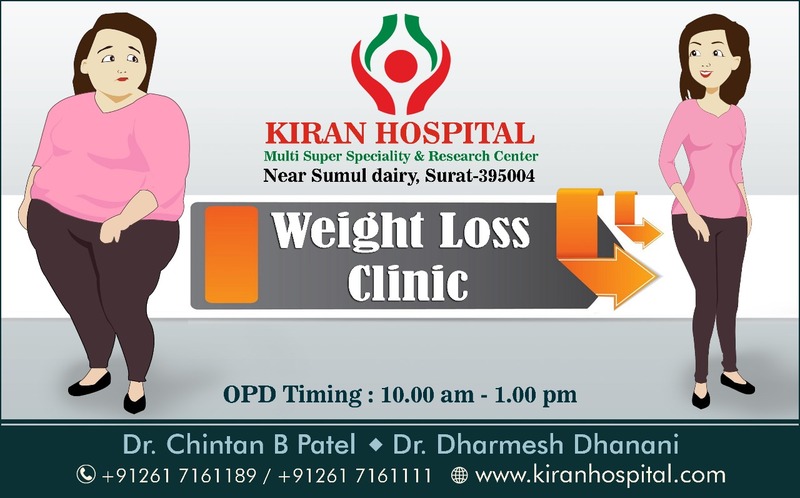 Why Center for Weight Loss & Bariatric Surgery , Kiran Hospital , Surat ? Bariatric Surgery for weight loss explained in Hindi. What is Bariatric Surgery ? What is Sleeve gastrectomy ? How bariatric surgery works ? Will I ever lose my excess weight? Why some people fail diet and exercise? Are there sustainable weight loss solutions? Are they safe? What is the smart way to conquer obesity? Which are best hospitals in Surat I Gujarat I India ? How Bariatric Surgery Works ? Is it Reliable ? What are the side effects ? Patients must meet specific criteria before they will be considered for an evaluation with the Kiran Weight Loss, Bariatric & Metabolic Surgery program. Have a Body Mass Index (BMI) of greater than 40, or a BMI of >35 accompanied by other issues related to health (co-morbidities). These co-morbidities include diabetes, high blood pressure, coronary artery disease, obstructive sleep apnea, osteoarthritis, hyperlipidemia (high cholesterol, triglycerides, etc), metabolic syndrome, polycystic ovarian disease, etc. Be mobile, medically stable, and have an actively involved and supportive primary care physician. For Asian population , BMI limits are lowered due to differences in ethnicity, genetic differences and central obesity prevalence. 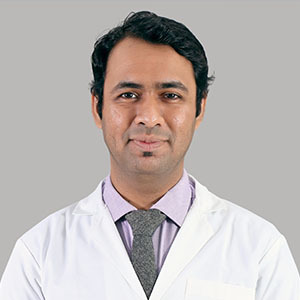 All surgeries are performed at the Kiran Super Multispeciality Hospital, Surat The average surgical time for gastric bypass is about 2 hours and sleeve gastrectomy is about 1-2 hours. The laparoscopy totally changed bariatric surgery. Almost all our patients can walk a few hours after surgery. They start to have liquids the day after surgery. The majority (more than 95%) of patients only stay in the hospital for two night or three days following surgery. Do I have to wait to get pregnant after bariatric surgery? Will the baby be healthy? Most surgeons recommend waiting 12-18 months after weight loss surgery before getting pregnant. After losing most of the excess weight, there is much less risk of having problems during pregnancy (gestational diabetes, eclampsia, macrosomia) and during childbirth. There is also decreased risk of having miscarriages and stillbirths. The kids born after mom’s bariatric surgery are less prone to being obese later in their life. Bariatric surgery also reduces the chance of needing a C-section. One study summarizing the results from 22 reports with a total of 4206 patient cases reported good long-term durability of gastric bypass surgery. The average excess weight loss was 66.5%, and there was no significant association between excess weight loss and length of follow-up. Now we have data to support the durability of gastric bypass surgery up to 15 years. Studies also have shown that sleeve gastrectomy patients were able to maintain its well-documented weight loss outcome at 5 or more years after surgery, with the overall mean excess weight loss at 5 or more years still remaining>50%. Such significant and sustained weight loss after surgery is in sharp contrast to medical management. Do most patients need to have plastic surgery after weight loss? Do I need to take vitamins and minerals after surgery? 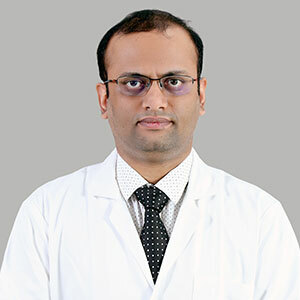 Highest volume in Surat currently for Bariatric Surgery for Weight Loss -International Standards -Almost Pain Free Recovery -Best Outcomes / Results -Highest safety records -Excellent Follow up & Support Group Meetings -All types of Bariatric surgery & Weight Loss Solutions -Dedicated team of Best Bariatric surgeon in India. 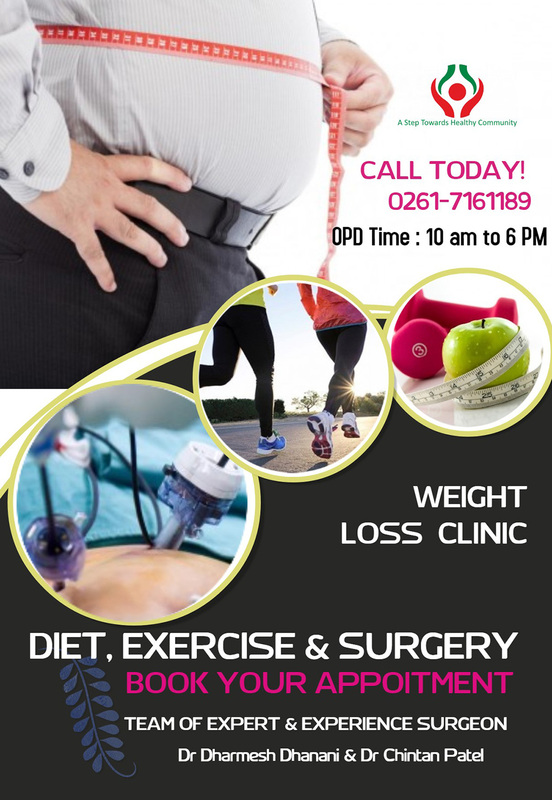 Internationally acclaimed team of Dr. Dharmesh Dhanani & Dr. Chintan B Patel -Dietitian Support -Full time 24x7 availability of Medical Services To know more about Bariatric Surgery and treatment for Obesity & Weight Loss & Appointment Call us at :- +91-261-7161189 / 1111 10.00 am to 6.00 pm (Except Sunday & Public Holidays). 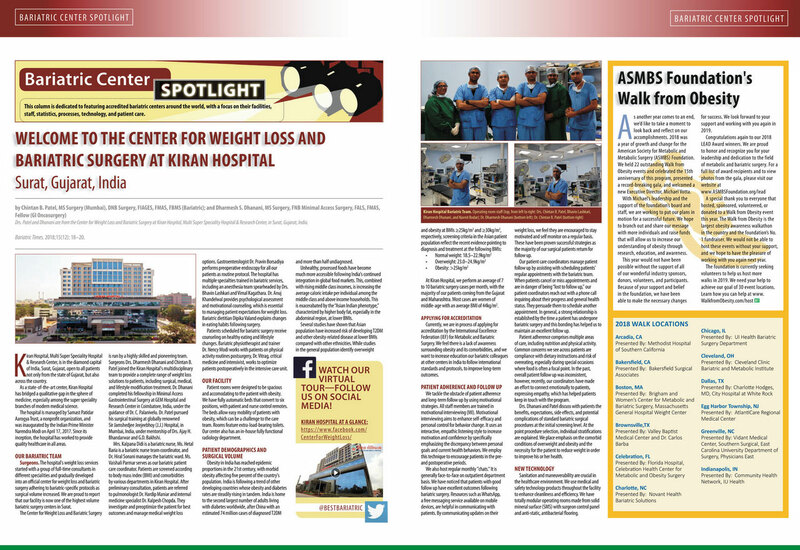 A World Class bariatric center at Kiran Hospital in Surat , Gujarat , supported by Multidisciplinary Team for holistic care and excellent follow-up. High success rate and low complications. Thorough preparation and follow-up programs one of its kind in Surat with regular support group meetings to help you succeed in your weight loss mission. Here is what Mr. Karshanbhai says on his weight loss attempts & difficulties in day to day life regarding Obesity. :- "I had developed Cardiac problems due to increasing weight and had undergone two angioplasty procedures.I tried for weight loss but failed in all my attempts , be it exercise , gym, walking or diet. 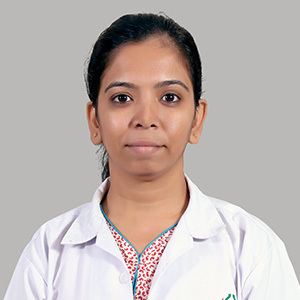 Then i decided for Life changing decision of Bariatric surgery for healthy life ahead.Due to my cardiac history, i opted for Bariatric Surgery at one of the best bariatric hospital in Gujarat as i wanted my bariatric surgery to be completely safe." 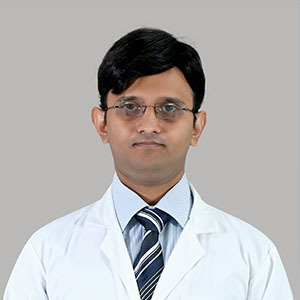 "I recommend this center and the surgeon team of Dr Dharmesh Dhanani and Dr. Chintan B Patel for anyone who is thinking of Bariatric Surgery for weight loss not only in Surat but in entire Gujarat." For thousands of years, Diabetes is considered as non-reversible and progressive disease. However, observations by surgeons since early 1980s and long term studies across the world show that most patients undergoing Bariatric or Metabolic surgery achieved sustainable remission of type 2 diabetes. What is this surgery? Is it proven? Isn't it more dangerous than taking medicines? Isn't it expensive? Is it reliable? What are the risks? Who qualifies? Which are best hospitals in Surat I Gujarat I India ? How Bariatric Surgery Works ? Is it Reliable ? What are the side effects ? Most of the improvement in knee pain that occurs following bariatric surgery in obese patients with knee osteoarthritis happens in the first month after surgery, well before the bulk of the weight loss takes place. Bariatric surgery’s mechanism of benefit in patients with knee osteoarthritis (OA) isn’t simply a matter of reduced mechanical load on the joints caused by a lessened weight burden. Post–bariatric surgery changes in inflammatory biomarkers, especially leptin, may help to explain the symptomatic relief of knee pain – and potential joint preservation. Obese patients with knee Osteoarthritis (OA) are in a catch-22 situation. Obese individuals are at greatly increased lifetime risk of developing knee OA, and patients with chronic knee pain have a tough time losing weight. The treatments that might work with either obesity or knee pain alone often fail when both of these are present. That’s why bariatric surgery is becoming an increasingly popular treatment strategy in these patients. Sleeve gastrectomy, Mini gastric bypass, Roux en Y Gastric Bypass and laparoscopic adjustable gastric banding are all effective treatments for obesity in the presence of Knee Joint pain ( Arthritis ). What is BMI or Body Mass Index ? The body mass index (BMI) is a value derived from the mass (weight) and height of an individual. The BMI is defined as the body mass divided by the square of the body height, and is universally expressed in units of kg/m2, resulting from mass in kilograms and height in metres. Obesity is a condition that is associated with having an excess amount of body fat, defined by genetic and environmental factors that are difficult to control when dieting. Obesity is classified as having a Body Mass Index (BMI) of 30 or greater. BMI is a tool used to measure obesity. Who is a Candidate for Bariatric Surgery or Weight loss surgery ? 2) BMI ≥ 35 and at least one or more obesity-related co-morbidities such as type II diabetes (T2DM), hypertension, sleep apnea and other respiratory disorders, non-alcoholic fatty liver disease, osteoarthritis, lipid abnormalities, gastrointestinal disorders, or heart disease. Inability to achieve a healthy weight loss sustained for a period of time with prior weight loss efforts. For Asian or Indian population, Cut off Guidelines are lowered due to high percentage of body fat & elevated risks of Type 2 diabetes, hypertension, and hyperlipidemia at a relatively low level of BMI.